The F/V North Star (ex. Bonaventure) is a wooden-hulled eastern rig dragger. The vessel was built in 1967 by Royal K. Lowell of Portland, Maine, and is 55 feet in length. 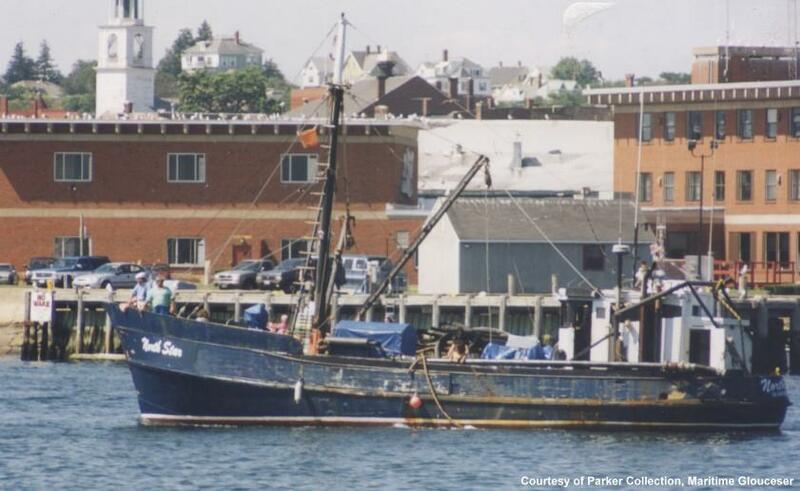 The North Star was based out of Gloucester and actively fished in Massachusetts Bay. The vessel sank on August 28, 2003. As the North Star’s crew lifted its clam dredge aboard, the vessel listed and capsized due to instability. The Coast Guard casualty report concluded that the weight of clams already onboard coupled with the weight of the clams in the dredge caused the vessel to roll over. Fortunately, there were no fatalities associated with the sinking, as the two crew members were rescued by the nearby vessel, Half Fast. Today, the F/V North Star rests in 100 feet of water on top of Stellwagen Bank. The wreck is in three main pieces: the hull is at the dive site’s north end. Separated by 100 feet, its clam dredge sits at the site’s southeast corner. Its deck machinery is due west of the clam dredge, still connected by its towing cable. Despite being in shallow water, this site does pose some challenging diving conditions as a result of the distance between sections of the wreck – a diver must run a reel to navigate the wreck, and cross a section of sand where one can be exposed to strong current. However, there are some spectacular sights to observe, such as the vessel’s propeller in addition to the typical abundant marine life found at many dive sites in the sanctuary. The North Star wreck site has a mooring to facilitate low-impact access. Instructions on how to utilize the mooring can be found here. Update: as of summer 2017, the majority of this wreck site has been destroyed by impacts from large, offshore scallopers. There are few remaining pieces of wreck and the mooring system has gone missing. Gauntlet is no longer running charters to this wreck.